Bangkok (NNT/VNA) - Even though the European Union (EU) has lifted the ’yellow card’ issued as a warning to Thailand over illegal, unreported and unregulated (IUU) fishing, the Thai government remains committed to the cause and has proposed the idea of establishing an ASEAN IUU Task Force to address the issue regionally. 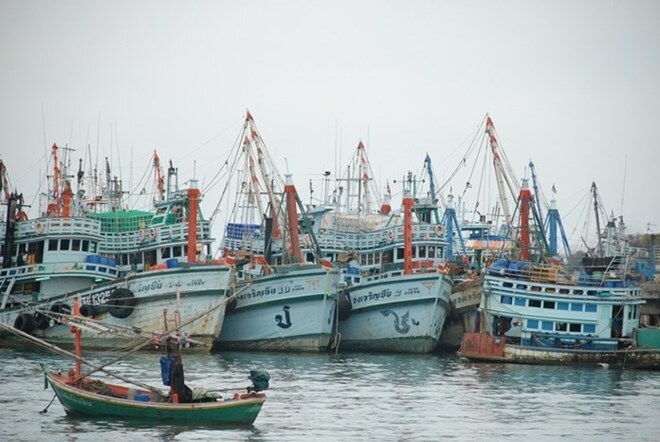 Thailand’s Department of Fisheries together with the EU recently organized a meeting aimed at tackling IUU fishing, after Thailand became the first country in the region to have a ’yellow card’ removed. The meeting was attended by representatives of relevant agencies in the EU and ASEAN member countries. As Thailand has assumed the chair of ASEAN for this year, the country plans to promote sustainable fisheries because the region’s fish products account for 22 percent of the world’s trade in fish. The region also has over 800,000 fishing vessels. Thailand would then like its neighbouring countries to join forces in reforming the fisheries sector by developing an ASEAN Fisheries policy in a concrete manner. Initially, the ASEAN member states have favoured the idea, while the plan to set up the ASEAN IUU Task Force will be given further consideration. The Director-General of the Department of Fisheries, Dr. Adisorn Promthep said the success in tackling IUU fishing has increased the quantity of the marine catch to 200,000 tonnes annually. He said this is a tribute to Thai people who have aligned the country’s fisheries with international laws and standards. However, there are some limitations at the regional level and it is necessary for all countries in this region to take responsibility to protect their marine resources and live up to international standards.